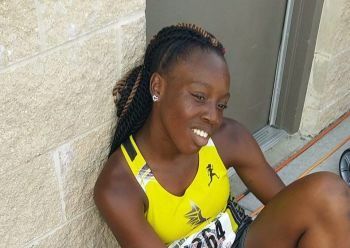 ROAD TOWN, Tortola, VI – Whilst the attention of the world might be on the upcoming Olympic Games in Rio de Janeiro, Brazil, young Virgin Islands’ speedster D’Neigh Williams has her focus on lifting a gold medal at the 50th Annual Amateur Athletic Unions (AAU) Junior Olympics in Houston, Texas. With over 12,000 athletes across many disciplines such as Track and Field, Taekwondo, Cheerleading, Jump Rope, Soccer, Baton Twirling, Table Tennis, Weightlifting and Wrestling, the 2016 AAU Junior Olympic Games officially opened with the Celebration of Athletes on Sunday July 31, 2016. 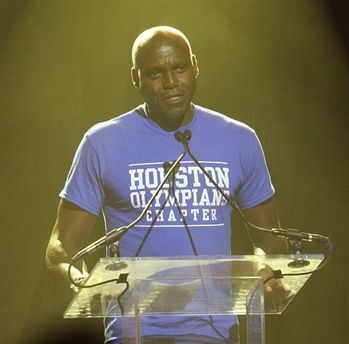 Olympic track and field legend and AAU alum, Carl Lewis performed the lighting the torch duties and also shared some inspirational words for this year's participants. Hosted at the M.O. Campbell Center, the event included the traditional parade of athletes, guest speakers, music, a magic show, videos and more. On Monday, August 1, 2016 at the Turner Stadium in Humble, Texas, Williams, running in Heat 5 of the Girls U13 100m preliminaries, finished third in a time of 12.78 seconds and qualified for Wednesday’s semi finals, as one of the fastest finishers, in 16th place overall out of 94 competitors. The AAU was founded in 1888 to establish standards and uniformity in amateur sports. During its early years, the AAU served as a leader in international sport representing the US in the international sports federations. The AAU worked closely with the Olympic movement to prepare athletes for the Olympic Games. After the Amateur Sports Act of 1978, the AAU has focused its efforts into providing sports programmes for participants of all ages, beginning at the grass roots level. The philosophy of "Sports for All, Forever," is shared by over 670,000 participants and over 100,000 volunteers. The Williams effect. Good job D.